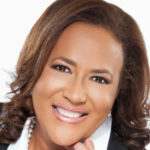 opjackson – The Barristers’ Association of Philadelphia, Inc.
Odessa P. Jackson is the first General Counsel, Chief Compliance Officer, and Secretary to the Board of Trustees at University of the Sciences in Philadelphia. With a broad range of corporate and educational management experience, Ms. Jackson provides legal counsel and guidance on all legal matters relevant to compliance, including corporate governance, Title IX, the Clery Act, and other regulatory matters related to higher education; employment; and business transactions. She will also oversee areas involving contracts and grants and other applicable laws and regulations. Ms. Jackson is a member of the President’s Cabinet and Senior Executive Team. Ms. Jackson is also the Secretary to the Board of Trustees. Prior to joining the University of the Sciences, Ms. Jackson served as Principal Deputy General Counsel at Howard University in Washington, DC, for 11 years where she managed the day-to-day operations of the office, supervising and advising staff attorneys, and served as a consultant to the Board of Trustees. Ms. Jackson has over 16 years of civil and criminal litigation experience in a variety of practice areas. Prior to her time at Howard, Jackson was a Trial Attorney with the U.S. Department of Justice and an Assistant U.S. attorney for both the District of Columbia and Maryland, handling a variety of criminal matters including healthcare fraud, financial fraud, tax fraud, child exploitation, civil rights, narcotics, and violent crimes. Ms. Jackson also has three years of experience as a contract administrator with two major corporations, including negotiating contracts and settlements. Ms. Jackson is a graduate of American University with a BS in Business Administration and an Associates degree in Criminal Justice, she received her JD from the University of North Carolina School of Law in Chapel Hill. At UNC, she was inducted into the Order of the Golden Fleece, the University’s oldest and highest honorary society and the second oldest collegiate honorary society in the U.S. She is a member of Delta Sigma Theta Sorority and the Forum of Executive Women in Philadelphia. Ms. Jackson has also volunteered with both Food and Friends, Inc., and with the Girl Scouts Council of the Nation’s Capital (GSCNC) Camp CEO, mentoring and advising young girls as they make decisions on college, future careers, and life choices. She served as co-chairman of the committee on staff agency review for Prince George’s County, Maryland, on Executive Rushern Baker’s 2010-2011 transition team, and on the Board of Directors for court appointed special advocate (CASA) for Prince George’s County. Ms. Jackson is originally from West Philadelphia.